To add a Banquet, just tap on the 'plus' icon on the top left corner of your iPad. Type the name and date of the event. If you don't like the name, don't worry, you can change it at any time. To delete a banquet, just tap the trash icon located on top right corner of the screen. 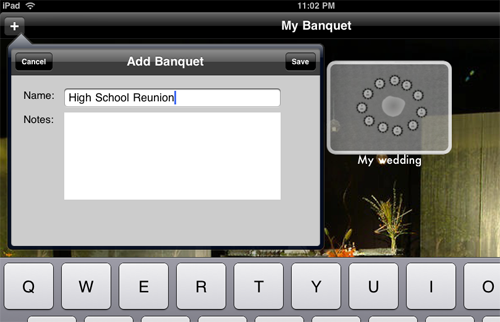 You will see that delete buttons will appear on each banquet. Just tap the one you want to delete. Once finished, tap the Done button.